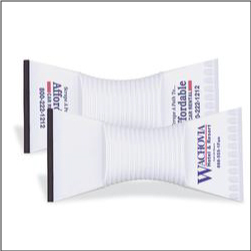 Order custom Imprinted Ice Scrapers with Squeegee – the perfect automotive giveaway for your auto service, garage, trade show, and more. Scrapers are approx 8inch x 4inch and feature a tough blade and chipper. Non-slip grip handle – window squeegee on opposite end. The year long weather scraper.